I just finished reading the book, Blogging Heroes by Michael Banks. It features interview with 30 of the world's top bloggers. What I like about the book is that it gives an interesting perspective on how some of the world's top bloggers started and their view on blogging, search engine optimization, interaction with readers, and growth of the community. What got me disappointed, although not the author's fault - as some of the famous bloggers did not respond to Michael Banks interview request, was the lack of bloggers featured from other blog networks. The book tends to be dominated by famous bloggers from Weblogs Inc. where the perspective on a lot of things tend to be alike, in many ways. To bring readers to your blog, go to other blogs and engage in discussions. (Dave Taylor). Comment on blogs of high-profile bloggers (Kristin Darguzas). Use social networking tools like Twitter (Steve Garfield). Only a fraction of a blog's visitor leave comments (Deborah Petersen). A blog without comments can be boring (Gary Lee). Whenever I make a new blog post, I usually ping Technorati, check on my entrecard to accept ads and place campaigns, plug in Twitter, and update my Google Reader shared items (where updates are posted to various sites such as my Facebook page). Last night, I started going back to all the folks who commented on my last 7 posts and interacted through their blogs and this I intend to do whenever I have a new blog post. Create a list of ideas (Rebecca Lieb). Self-promotion is more effective when it includes a value-added element. (Chris Anderson). Give readers, in the way of information, as a reward for visiting your blog (David Rothman). The interaction I'm getting in the Philippine Internet Review has been so helpful that I don't seem to ran out of stories to feature of other people. Reading through the blogs of those who participated in the discussion even opened new story opportunities. 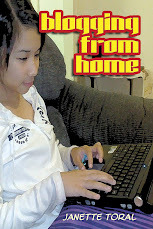 At the same time, it allows me to subtly promote our upcoming Social Networking and eBusiness Conference Philippines 2008. Post useful, original, well-written content (Gina Trapani). Let content, rather than personality, rule your blog (Frank Warren). Have passion for what you write about (John Neff). Get used to creating content (Joel Comm). Offer readers something of value (Steve Rubel). Do not simply be an echo of what other blogs are doing (Victor Agreda Jr.). Rather than make a blog post out of the whim or for the sake of just posting, having original content is important. The pressure to do well in this field has also forced me to reconsider my postings and question its relevance to readers. Blogs can be a way to increase your visibility to potential buyers (Ina Steiner). Consider blogging in a niche (Chris Grant). This I truly believe in and that is why I'm using my DigitalFilipino.com Club blog to announce activities and share tips whenever I can. Doing this has also enabled me to attract new club members. Try to blend advertising in with content, rather than allowing it to intrude on content (Mike Masnick). Keep advertising low lets you balance content with ads and have happier readers (Ken Fisher). Don't count on making lots of money right away (Richard MacManus). I strongly believe in this. This is also the reason I'm not inclined in having Google AdSense appear at the blog post level, whether on-top or middle-of-the-post, as it distracts the user from reading a post. Paid posts and text link ads should be done in a manner that does not mislead readers. Put yourself in your reader's place before you write (Mark Frauenfelder). Don't assume all readers will understand what you post (Scott McNulty). This is certainly a challenge as most of the time, we post because we want to share something happening in our lives. I guess in the end of it, there must be a clear take-away or value that is imparted as a result of it. Good content beats search engine optimization or SEO (Robert Scoble). Think of what topics deserve coverage (Philipp Lenssen). SEO is not the ultimate answer to generating traffic (Peter Rojas). Stay away from darker or unethical tricks (Grant Robertson). Rather than be tempted in bringing high audience traffic right away, it is best to focus on developing quality content. It brings natural traffic from search engines. This I noticed in some of my blogs, such as Ituloy AngSulong, that even if I don't post as usual, traffic comes in because of being able to write something relevant or useful to a specific audience. Blog statistics can tell what works and what doesn't (Brian Lam). Tracking your blog performance using several tools can tell you which topics are hot and continues to drive in traffic. This can help you decide whether you need to make a follow-up post and explore its potential further. A blog can support and extend the life of a book (Brad Hill). A website or blog can indeed do that. 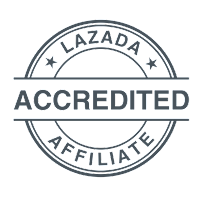 This I have experience in the books DigitalFilipino E-Commerce Guide and Philippine Internet Review. Criticisms can make you a better blogger (Deidre Woollard). User feedback, whether positive or constructively negative, can help in the development of a blog. The book Blogging Heroes by Michael Banks can now be purchased for only $5.00 (its original price during its launch was $24.99). Ideal for those who wants to get serious in blogging. Hi Janette! Very informative and comprehensive post and book review. Thanks for sharing this to a curious and baby blogger like me. Amazing! Are these authors all Americans? thanks for these tips and references. more power to you! thanks for these insights. more power to you!